Receptionist man was friendly and made jokes even though we arrived around 10pm. The view from our room was wonderful. It was not my favorite place to stay. The only thing I liked was that the front desk lady was very kind. I also loved the fact that I was able to do my laundry for cheap. 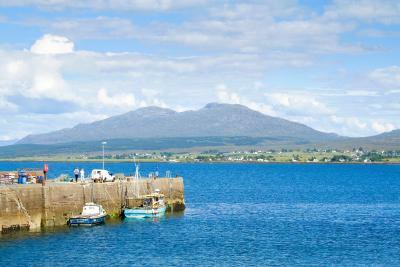 Broadford is a nice town with a great grocery store and places to eat. Staff was friendly and helpful with all our questions. Also the location is quite nice directly at the water. Great location, clean facilities and friendly staff. Very friendly staff. Appreciated the large community kitchen and the drying room. Comfortable, warm and welcoming! A great stay - thank you. Very nice staff. Big kitchen and common rooms.The view is great! 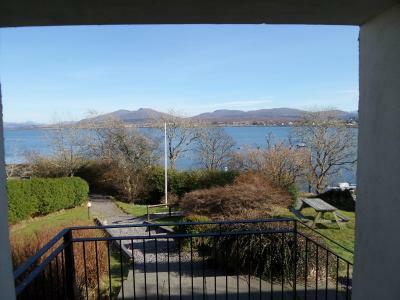 Broadford Youth Hostel This rating is a reflection of how the property compares to the industry standard when it comes to price, facilities and services available. It's based on a self-evaluation by the property. Use this rating to help choose your stay! 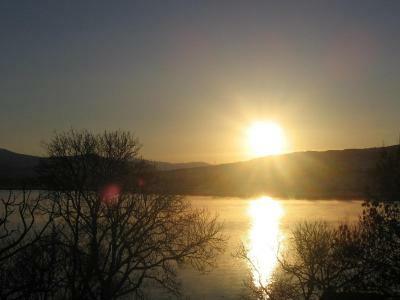 Overlooking Broadford Bay, Broadford Youth Hostel provides easy access to coastal walks on the Isle of Skye and is just 15 miles from the famous Cuillin mountain range. A communal garden is also available for guests to use. Each room at Broadford comes with shared bathroom facilities, and private rooms are also available. Wi-Fi access and laundry facilities can be provided for an additional charge. A continental breakfast buffet is offered in the dining room, and packed lunches can also be provided. Broadford village is less than 10 minutes’ walk from the hostel and features shopping facilities and restaurants offering local seafood. 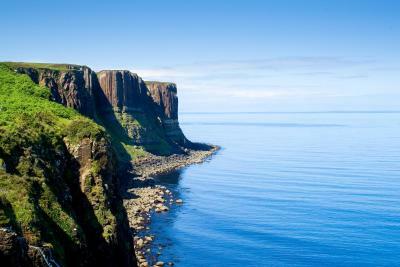 Whale, wildlife-watching and sightseeing boat trips can be caught from Elgol, which is just 15 miles away. 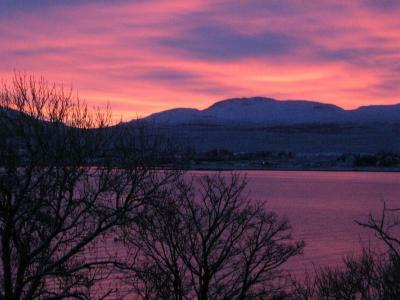 When would you like to stay at Broadford Youth Hostel? 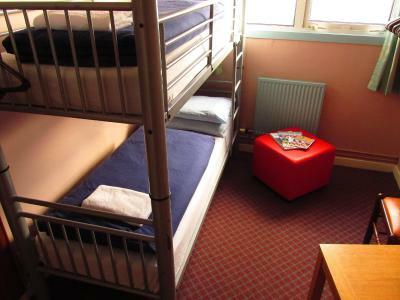 Shared bathroom and toilet facilities are provided with this room. 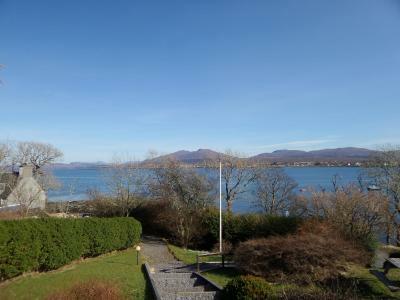 Located on the top floor, this room offers a sloping ceiling and views over Broadford Bay. 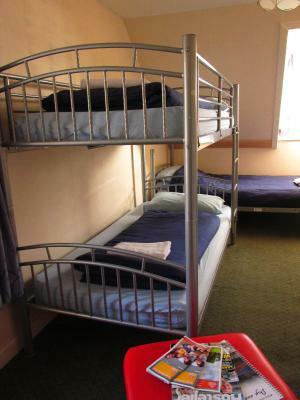 House Rules Broadford Youth Hostel takes special requests – add in the next step! Debit card Broadford Youth Hostel accepts these cards and reserves the right to temporarily hold an amount prior to arrival. Broadford Youth Hostel accepts these cards and reserves the right to temporarily hold an amount prior to arrival. Individual reservations (Up to 9 people) - can cancel free of charge until 7 days before the arrival date. If canceled within the 7 days before the arrival 100 percent of the total price will be charged. 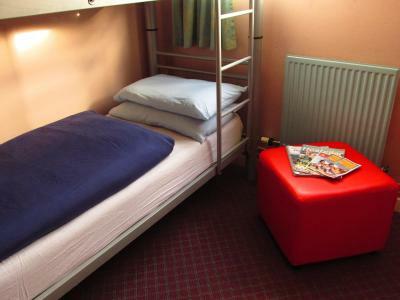 From the age of 12 to 15 years, young people must be accompanied by a parent or guardian of the same gender when booking a bed within shared accommodations. Parties with children under 12 years will only be accommodated in private rooms, where available. 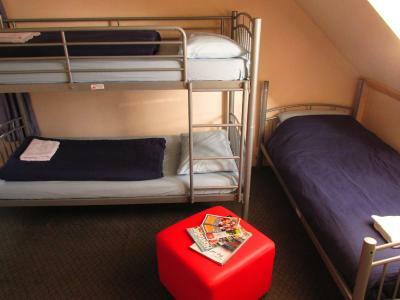 Hosteling Scotland advise that additional notice be given to the destination youth hostel when traveling with children, to ensure that suitable accommodations is available. 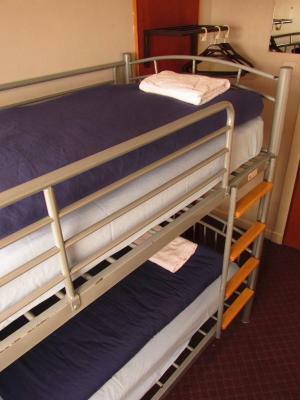 There is no capacity for extra beds or cots. Please inform Broadford Youth Hostel of your expected arrival time in advance. You can use the Special Requests box when booking, or contact the property directly using the contact details in your confirmation. Please note that the full amount of the reservation is due before arrival. SYHA will send a confirmation with detailed payment information. After full payment is taken, the property's details, including the address and where to pick up the keys, will be sent to you by email. Nice little room, very clean as the bathroom. There was a weird smell in the corridor and the hall. One of the showers worked but as it was early I just went to another one. Biggest issue was my snoring which kept my son awake. There was no breakfast available, which didn't matter because we just went to the chippie and had a very nice (cooked)breakfast (indoors) there. The food are amazing: the chili bowl or the Angus burger are some must to taste!! So delicious!! Too far from village. Parking is out of sight at side of road. Staff were very friendly and efficient. Gave us good insight with their local knowledge. Very helpful.